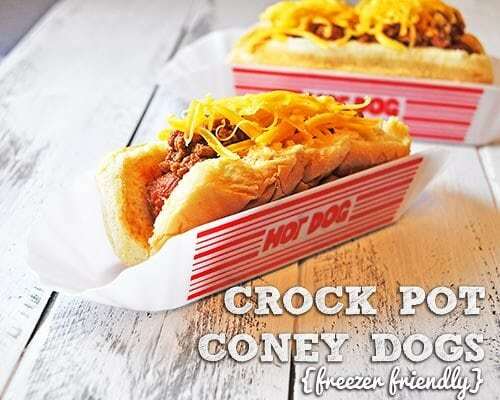 Crock Pot Coney Dogs (A Real Weiner of a Dinner) - Recipes That Crock! Are you looking for a quick and easy crock pot meal to feed a crowd or to serve up on a weeknight in a snap? 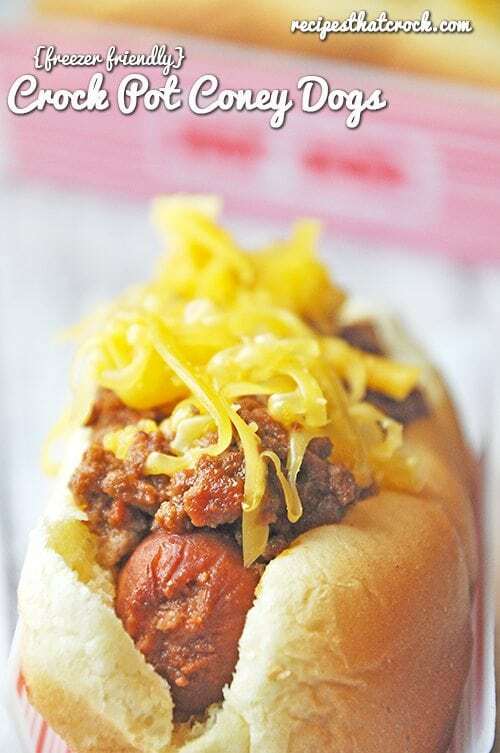 This freezer friendly coney dog sauce makes up delicious crock pot coney dogs in no time flat. During the last hour that this coney sauce was cooking I decided to save time and tossed a package of hot dogs right in the slow cooker with the sauce. This not only let them cook up while the sauce was almost ready, but it also let them soak up some of the GOODeness from the sauce itself. This recipe makes enough coney sauce for 20 servings. Just in case you don’t have 20 folks to feed you can still put the leftovers in a freezable container to reheat again another day. Or, if you DO have 20 people to feed, you can still make ahead of time and freeze! 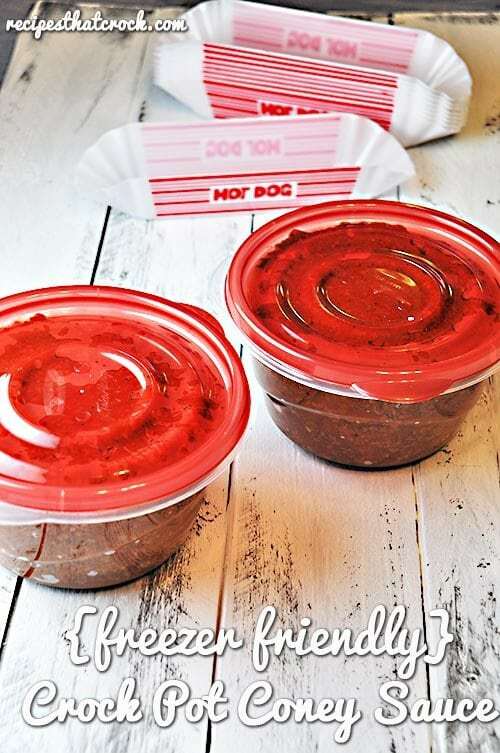 Great freezer friendly recipe for Crock Pot Coney Dog Sauce adapted from Gooseberry Patch's 101 Super Easy Slow Cooker Recipes. Cover and cook on high setting for 3 hours, stirring occasionally. Psst… looking for those hot dog trays? They come in quite handy! You can find them here. I cannot wait to make these! My husband will love them!